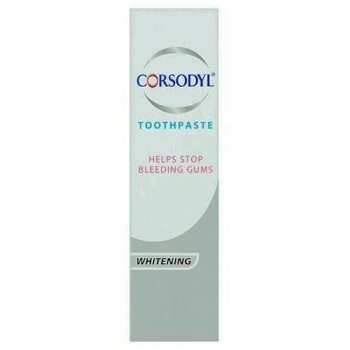 Corsodyl® is a daily toothpaste, specially formulated for people who spit blood when they brush. Corsodyl® Whitening Toothpaste helps stop bleeding gums and helps to restore teeth to their natural whiteness by gently removing surface stains. 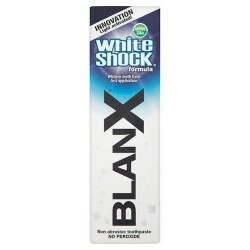 It has a unique formulation that gives it a therapeutic taste. 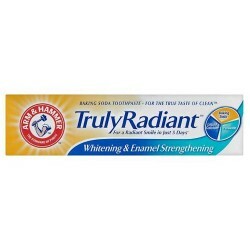 Most people liked its unique taste after 14 days of using Corsodyl® toothpaste. Spitting blood when you brush your teeth may be a sign of inflamed gums; this is due to the build up of plaque bacteria. If plaque bacteria is not removed, inflammation can spread to the gum socket holding the tooth. 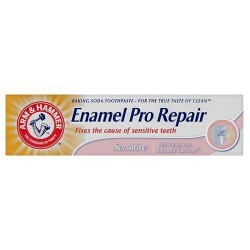 Eventually, this can cause the gum to recede and teeth to fall out. Corsodyl® toothpaste has a unique formulation which disrupts plaque bacteria, enabling more plaque* to be removed. Its formulation removes significantly more plaque* than a regular toothpaste and is proven to significantly reduce the bleeding of your gums. You can help stop the bleeding of your gums by brushing with Corsodyl® toothpaste. It also contains fluoride. You can use it every day with confidence.